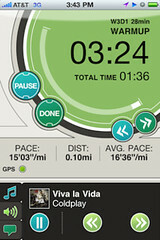 This entry was posted in Running and tagged C25K, Couch to 5K, kids running, mom by Kinda Zennish. Bookmark the permalink. haha awesome!! I have used it to help others – also Jeff Galloways run/walk method to get farther! I didn’t, but sometimes I think I should start over and do it the right way. I am still trying to love to run… not there yet.